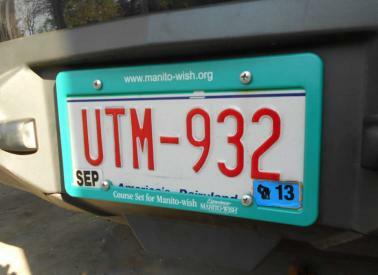 This is a collection of Manito-wish items that defy easy classification. They are all exceedingly unique and incredibly awesome in their own distinctive way. They make great gifts, come in handy at home or office, even help pass the time on a road trip. Take a look; chances are you’ll wonder how you ever got along without them. Now don’t rush the register, there’s plenty for everyone. A soft and snuggly sweatshirt blanket. Not that similar product you see on all the infomercials; this one is much better. Why? Because it has our name on it, that’s why. The human body is composed of 60% water, and you’re bound to lose most of it on that super-long portage. Replenish those electrolytes with clear, cold water from our rugged Nalgene® Water Bottles. BPA-free. 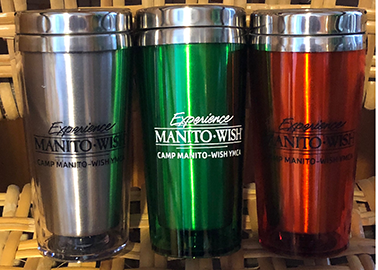 Our coffee mugs will keep your favorite coffee, tea, or cocoa toasty. But they don’t actually make toast. You would need a toaster for that. So to review, mugs = hot beverages; toasters = toast. Thank you for your attention. Proudly display your Camp pride with this sturdy plastic license plate frame! Note: Will not get you out of traffic tickets. Unless the police officer is a Manito-wish alum, then maybe. But since alums all have fine, upstanding character, they probably wouldn’t let you off, so don’t get your hopes up. This is a license plate frame, not a catch-all solution to life’s woes. 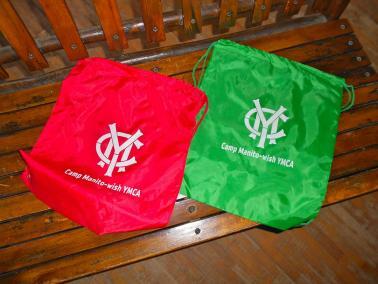 This bag will make a great gift for your Camper! Perfect to package up a gift from the Trading Post then reuse to stow gear for a trip to the gym, dance class, soccer, and more! Not so perfect for stowing the raccoon he encountered on Trail. So, use accordingly. 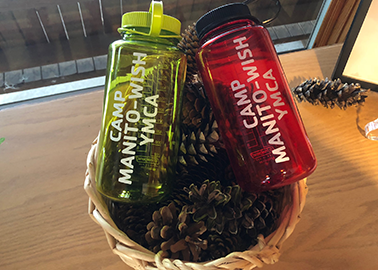 The entire amazing history of camp is documented in Course Set for Manito-wish: The History of Camp-Manitowish YMCA, a beautifully written book by Jon Helminiak. 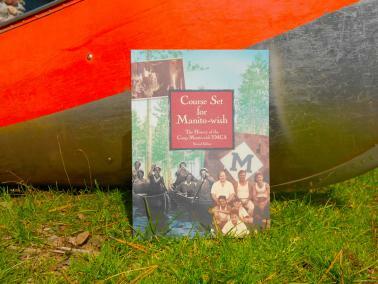 This soft-cover second edition documents Camp’s history through wonderful stories and photographs. A must-read for anyone who knows and loves Manito-wish, and would like to learn even more. 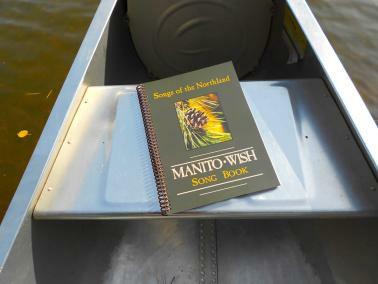 Break Out the Oars, Bum and a Fish, The Life of a Voyageur, and all of your Manito-wish favorites, compiled in this thoughtful songbook. 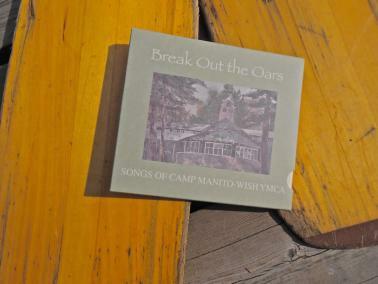 Sing them on-key, off-key, or like the campers do, screaming at the top of your lungs — it’s your call. 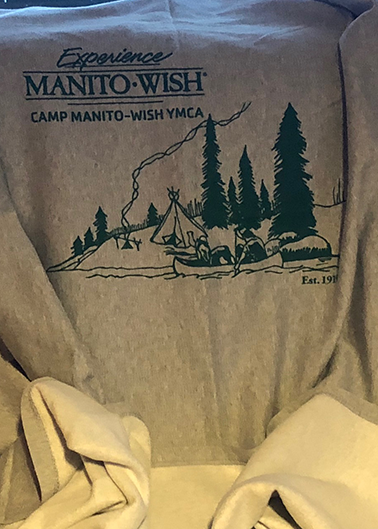 Elmer Ott directed Camp Manito-wish for 37 amazing and influential years. 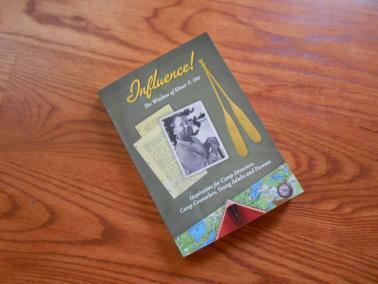 This collection of his wisdom, observations and beliefs — written in his own words — provides a thoughtful portrait of the man and an insightful guide for camp directors, counselors, campers and parents. The training and conversations he experienced seems to have changed his outlook on life. He is extremely positive and loving. He is very strong. Because of who he is becoming, his potential for the future will probably pass my dreams for him.